Collaborating with Lanvin, functioning as a collective, producing lush editorial photography... within its homeland of fashion, the Swedish denim brand Acne can do no wrong. 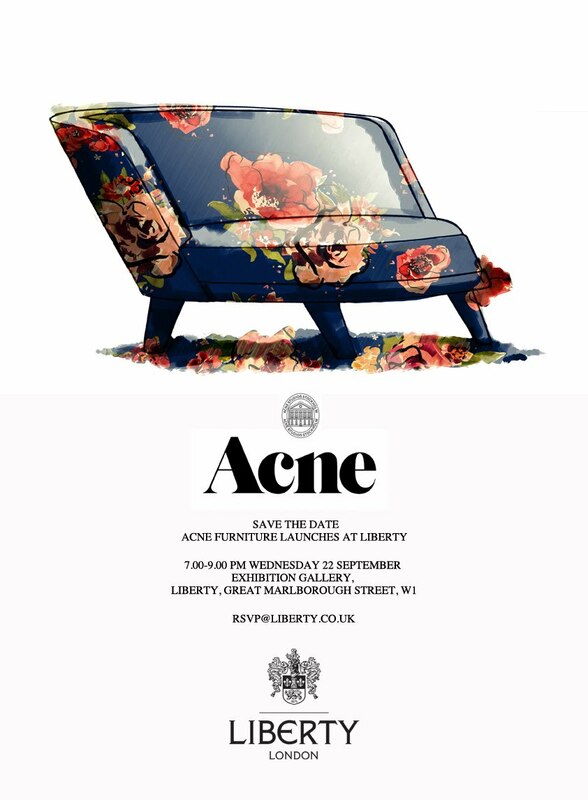 And now they've done a sofa, on show next week at Liberty. 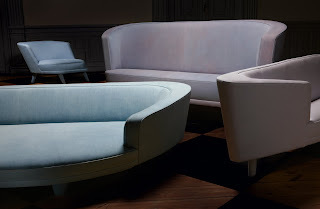 The pale denim upholstery option, below, is seriously cool... and is that a shade of faded lilac I can see? By Kvadrat? The floral version, above, is a Liberty print created for the Acne piece (the company has used vintage Liberty prints before). Based on Carl Malmsten's 1949 Berlin Sofa, the structure is dinky and modern and slants relaxedly to one side. Costing between £6,500 and £9,500, it's not a product for low-earning scenesters, but for collectors and people with real salaries. So who will buy this left-leaning seating from the Scandi ethical hipsters with superslick branding?